Frustratingly, the only information from @BestEarthPix is “Oregon, USA.” It’s a mule deer, in a lake. Which lake? Who was the lucky/skilled photographer? No details. Can you supply details? The photographer should get credit, I think. Update: This site, 500px, attributes the photo to Stijn Dijkstra. But Amazon.com/UK leads me to believe this is a sunrise at Yellowstone Lake, with a deer’s profile PhotoShopped in. See “Sunrise at Yellowstone Journal” and this photo. 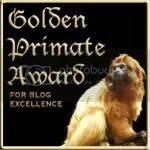 Further update: It’s a stock photo from Alamy, PhotoShopped. How disappointing, and maddening, that what looks like a great image turns out to be faked. Flags are flying in Oregon and Arizona on Valentine’s Day 2018? It’s statehood day in both of those states. Legally, nothing stops a resident from flying the U.S. flag following protocol on any day. Yes, you may fly your U.S. flag on Valentine’s Day. The Flag Code urges flying the flag on the day a state achieved statehood, too. For Oregon and Arizona, there is an expectation that residents will fly their flags. Oregon came into the union on February 14, 1859; Arizona joined the Republic as a state in 1912. 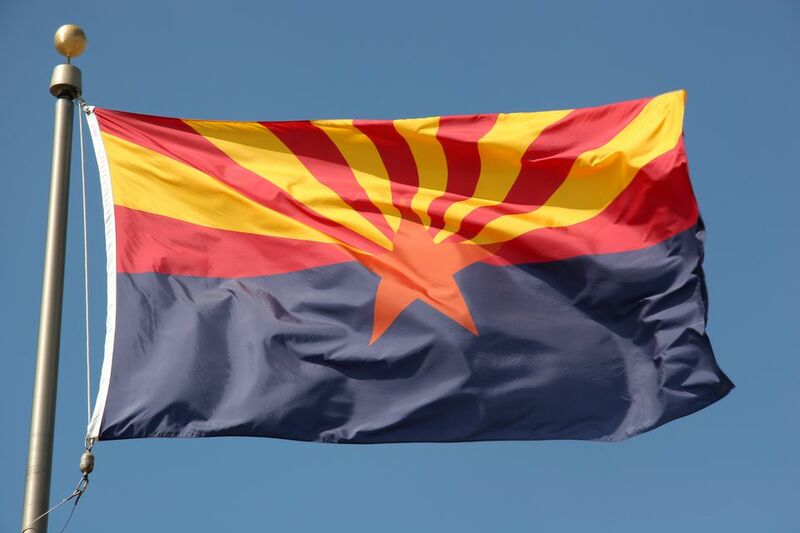 Arizona’s state flag waves in the blue – From TripSavvy: On February 14, 1912, Taft signed the proclamation making Arizona the 48th state, and the last of the contiguous states to be admitted to the union. It was the last of the 48 contiguous states to be admitted to the union. 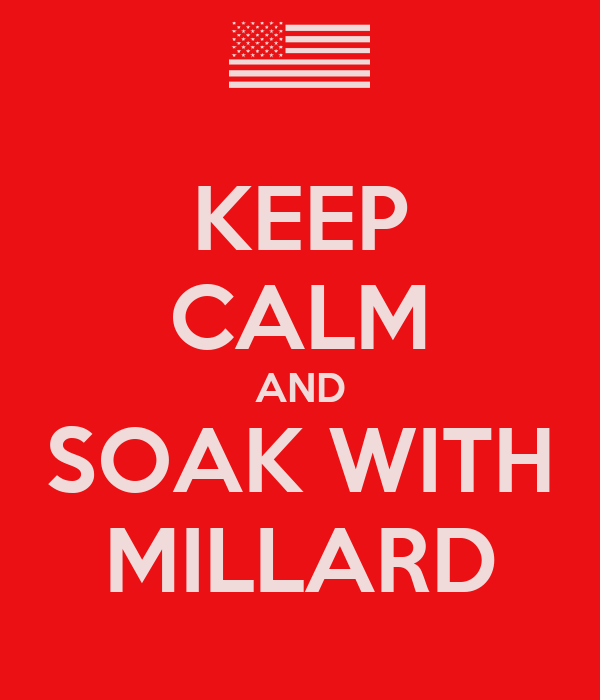 Some of this material was borrowed, with express permission, from last year’s post at Millard Fillmore’s Bathtub. Some wag e-mailed to ask about flying the flag for Valentine’s Day. Oregon entered as the 33rd state in 1859 – this is the Oregon commemorative quarter-dollar coin. Legally, nothing stops a resident from flying the U.S. flag following protocol on any day. So the short answer is, yes, you may fly your U.S. flag on Valentine’s Day. So for Oregon and Arizona, there is an expectation that residents will fly their flags. 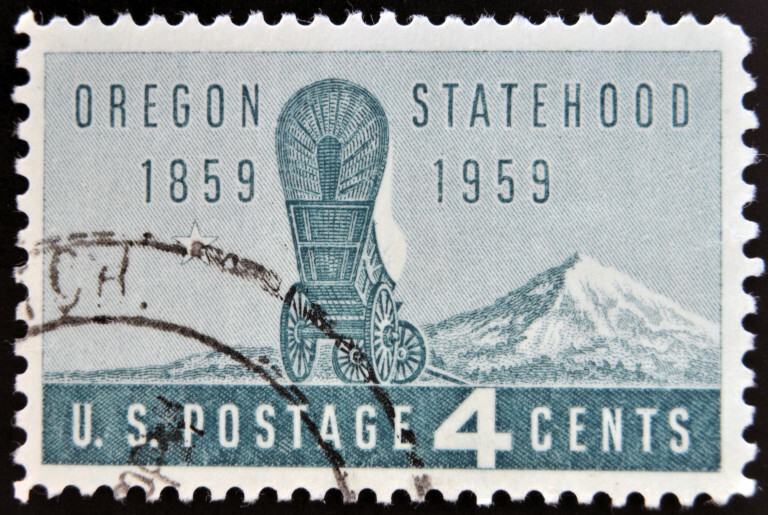 Oregon came into the union on February 14, 1859; Arizona joined the Republic as a state in 1912. Jeff Merkley’s caption: Protected by President Teddy Roosevelt, Crater Lake is the deepest lake in the United States, formed in the caldera of Mount Mazama, a volcano that collapsed nearly 8000 years ago. It’s a must-see for every Oregonian – and every American! Steens Mountain, sunrise, or sunset? Either someone just spent a very cold night to get a photo, or they’re getting ready to spend a very cold night. Steens Mountain at sunrise is a very popular image for photographers — but very few get a shot from the mountain itself like this one. Steens Mountain is a large fault-block mountain in the southeastern part of the U.S. state of Oregon. Located in Harney County, it stretches some 50 miles (80 km) long north to south, and rises from alongside the Alvord Desert at elevation of about 4,200 feet (1,300 m) to a summit elevation of 9,733 feet (2,967 m). It is sometimes confused with a mountain range, but is properly a single mountain. Suzanne Bonamici won the Congressional seat for Oregon’s North Coast in a special election Tuesday, Oregon Congressional District 1. She had 54% of the vote, in an area that often votes Democrat and supported Barack Obama in 2008. She will replace Rep. David Wu, a Democrat who resigned after he was accused of making sexual advances towards a daughter of a campaign donor. Bonamici must stand for election in November, too. Check out the results from The Daily Astorian, one of the finer small daily papers left in America, a paper that still does real news reporting. Is this a bellwether? Democrats had a scandal-plagued representative, but won anyway. The area traditionally votes Democratic. Portents of November results appear rather dim. Tip of the old scrub brush to Brenda Penner.